So this is the 2nd year in a row we are seeing a trend for orders for custom prom tank tops and t-shirts. The traditional order has a design, school name, a reference to prom, and then on the back they are customized with the year, and then your dates name on the back. 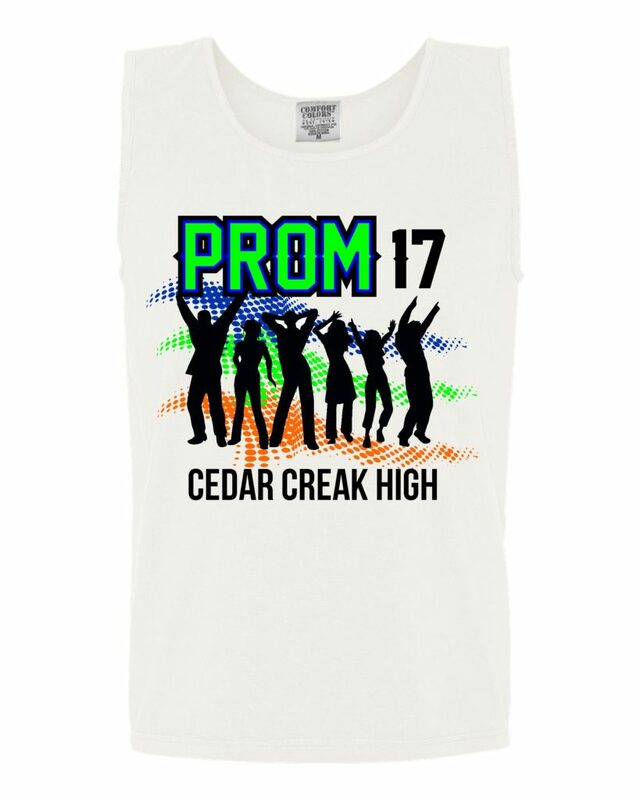 The popular custom prom tank tops are comfort colors. Still a popular brand among high school and college students. While a higher price point compared to most brands, students are willing to pay for the trend and with so much customization they already expect to pay a higher price. Kirkwood Trading Company provides a one week turn around on such orders as long as we receive everything from the client that is requested. Shirt style, color, and sizes. A list of names and the design is in a vector format ready to go. From there we can order your t-shirts or tanks on a Monday and have them ready to go that Friday.